Our range of products include compact moisture oil transmitter and moisture oil transmitter. To cater the increasing requirements of our valued clients, we are offering a large array of Compact Moisture Oil Transmitter to our valued customers. As per the requirement of clients, we are offering this transmitter in various stipulations. These are used in transformer oil, lubrication oil, hydraulic oil, and engine oil and diesel fuel. In addition, we offer this product in the market at the very affordable price. We are one of the renowned and well-known industries which are extensively engaged in providing several kinds of supreme quality Compact Moisture Oil Transmitter in the market. Offered products are ideal for online monitoring of moisture in lubrication, insulation or hydraulic oil, which is very important for the long-term performance of plant and machinery. 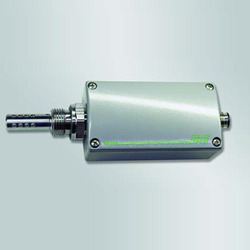 E+E Transmitter Series EE385 are specially designed for the measurement of moisture content in oil and temperature. EE385 is ideal for online monitoring of moisture in lubrication, hydraulic or insulation oil, which is very important for the long-term performance and preventive maintenance of plant and machinery. aw = 0 corresponds to water-free oil, while aw = 1 indicates saturated oil. 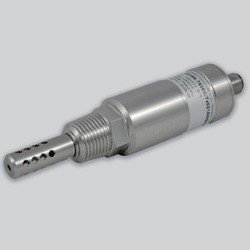 pollution of the E+E capacitive sensor elements series HC. To satisfying the varied demands of our valuable clients, we are highly engaged in offering optimum quality Moisture Oil Transmitter in the market. 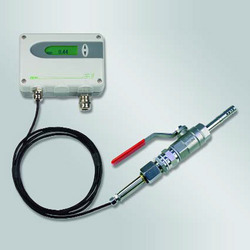 This offered range is specially designed for the measurement of water content in oil. Apart from this, customers can avail these transmitters from us at the most economical prices as per the detailed demands of our valued clients. For instance, moisture affects dramatically the insulation characteristics of electrical transformer oil and therefore continuous monitoring is extremely important. transmitter series is based on the outstanding long term stability and resistance to pollution of the E+E capacitive sensor elements series HC. transformer oils and lubrication oils can be accomplished by downloading specific parameters of the oil. outputs. In addition, an optional relay output can be used for alarms and process control. mounting and removal of the probe without interrupting the process. buttons on the printed circuit board or the configuration software. The configuration software is included in the scope of supply and allows an easy and fast configuration of the analogue outputs and of the alarm and control thresholds. Further features of the configuration software are adjustment and calibration of the outputs and service operations such as replacement of the sensing elements or of the entire sensing probe.